The IntelliStage ISEC6X2X1C was specially designed for transporting your 6 piece 2M X 1M platform stage system. Features a front access door for easy access. Just remove the front access panel and slide you platforms in and out. 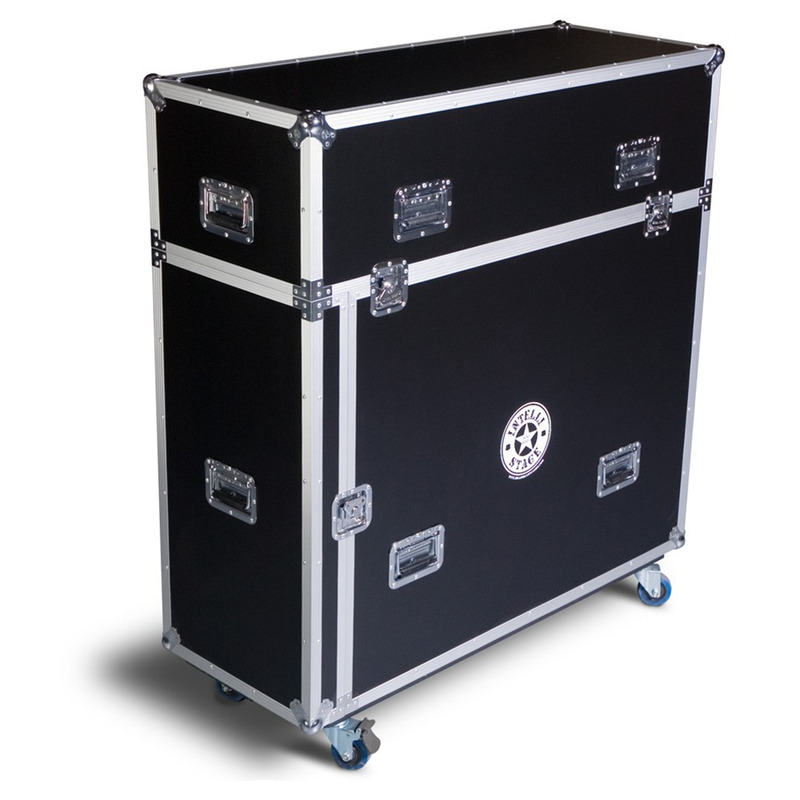 This case also features storage compartments for 6 platform risers as well as additional utility space for hardware, clamps and skirts, all mounted on 4 heavy duty casters with brakes.